For Tate Sullivan, life in her small, coastal town is far from glamorous. The affluent lives of the Guild members and their servants isn't something she has ever wanted. But all sixteen year-olds must take a simple test, and Tate's result thrusts her into the Guild's world, one where they hide horrible plans for those they select. Tate must fight the relentless General Dagon for control of her mind, body, and soul to keep the one precious thing she has always taken for granted: herself. Her only ally is the same handsome boy she is pitted against in General Dagon’s deadly game. Quinn desires nothing more than to end the life of General Dagon who has taken over Tate's mind. While romance blooms between Tate and Quinn, General Dagon plots to eventually take over Tate's body, and love might end before it even begins. 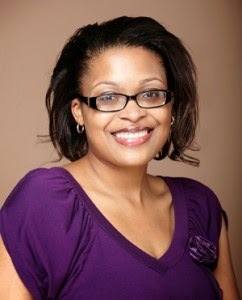 Shawntelle Madison is a web developer who loves to weave words as well as code. She’d never admit it, but if asked she’d say she covets and collects source code. After losing her first summer job detasseling corn, Shawntelle performed various jobs—from fast-food clerk to grunt programmer to university webmaster. Writing eccentric characters is her most favorite job of them all. On any particular day when she’s not surgically attached to her computer, she can be found watching cheesy horror movies or the latest action-packed anime. She lives in Missouri with her husband and children.